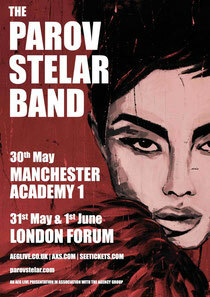 Parov Stelar Band has announced three UK live dates in May and June 2013. The gigs in London and Manchester come hot on the heels of their new album ‘The Invisible Girl’, out now on Etage Noir Recordings. The band kick things off in Manchester on Monday May 30 at The Academy, followed by two back-to-back dates at the London Forum in Kentish Town, NW5 (May 31 and June 1). Austrian musician and DJ Parov Stelar has gained a large worldwide following for his unique brand of eclectic swing-tinted electronica, which has seen him release nine albums in as many years, as well as his tracks appearing on more than 700 compilations. Inspired by styles and samples from the most varied of genres, combined with modern beats and grooves, his retro-influenced sound is translated into a live set by the musical act known as the Parov Stelar Band. 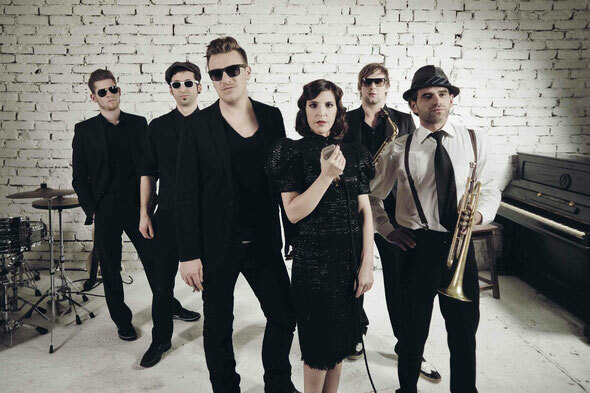 Brass and rhythm sections accompany tour vocalist Cleo Panther in re-inventing Parov Stelar’s electronic beats and bites, while at the centre of the show is Parov himself, guiding the music from the DJ booth. A popular contributor to film, TV and ad soundtracks, Parov’s ‘Chambermaid Swing’ was recently used in a Bacardi commercial and ‘Booty Swing’ was used to TV advertise the Cosmopolitan of Las Vegas.